After a bunch of trial and error, I think I have figured out a consistent way to quickly and easily fix this problem when it does occur, releasing the camera hardware for use by any app. First, go into Settings, and choose Applications. 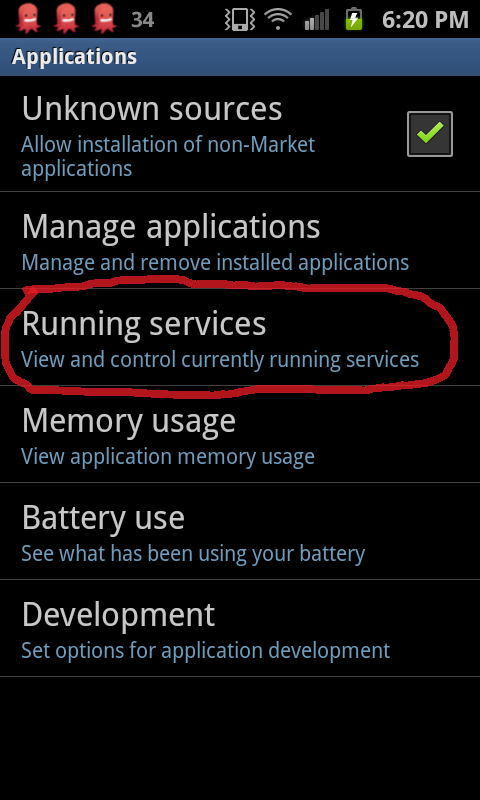 From the Applications menu, choose Running Services. 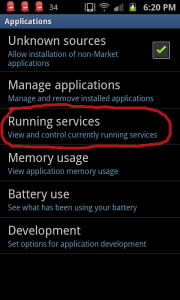 When shown the list of Running services, press the Menu key to show the option Show cached processes. Select Show cached processes. 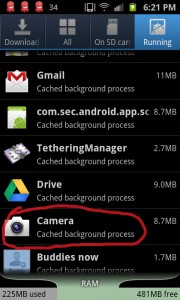 Scrolling through the list of cached processes look for the Camera app and select it. 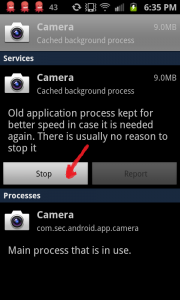 When you select the Camera process you will have the option to Stop it. 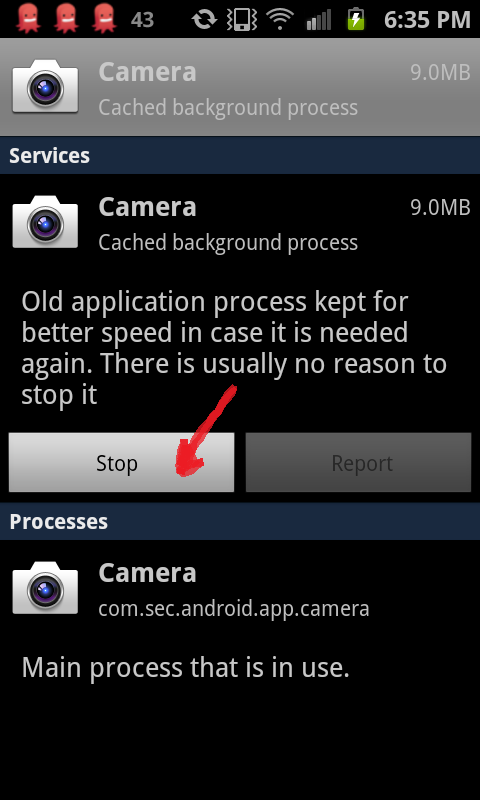 Choosing Stop should successfully release the camera hardware. After stopping the cached camera process, return to your home screen and try relaunching the camera app or whatever other app you were trying to run when you ran into the “Camera Failed” error message. It should now successfully start with access to the camera. 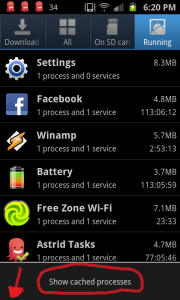 Tags: Android, mobile, not happy, whoops! This entry was posted on Wednesday, May 23rd, 2012 at 11:06 pm. You can follow any responses to this entry through the RSS 2.0 feed. You can leave a response, or trackback from your own site. Excellent post. I agree this appears to be a system resource issue. 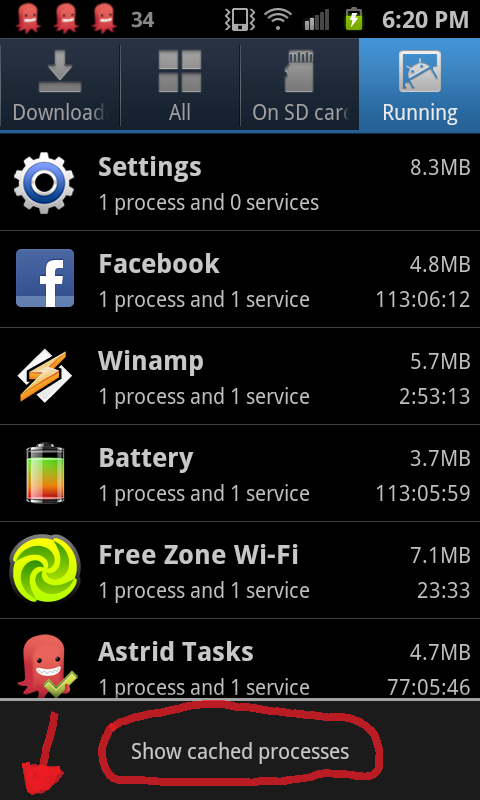 In my case, rebooting my Galaxy SII phone resolved the problem. Your solution is a lot better. This problem seems to occur after leaving the camera app running and turn off the screen. Have you reported this to Samsung? Thanks so much! I’ve looked and looked for a solution and it didn’t work. Now it does and I thank you for this post. Have a great day! I followed the instructions and my camera worked.Thanks a million. thank you so much….out of no where it wasn’t working and you telling the step by step saved the day!!!! This worked like a charm on my first gen Galaxy S. Just stopped allt he programs associated with the camera (for me, it was the video player and the galary – I didn’t have “camera” listed), and then relaunched it, and viola! Has same problem and found INSTAGRAM the culprit. Uninstalled the app and camera works every time. This was totally helpful, got my camera working again. In seconds and was so easy to follow the directions. Thank You!!! My front camera always showed “Camera Failed.” With the Jelly Bean update when I tried the front camera it says “Camera Failed.” I use to just close and re-open the camera app but now it seems to remember my setting to open my front camera – thus says camera failed. 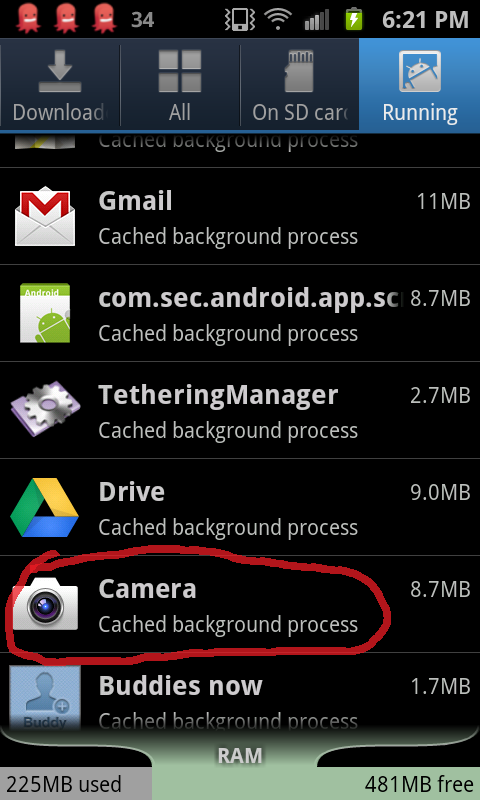 I used the above to go to all processes –> camera –> force stop –> clear all data. It then forgot it was on front camera mode and works again. Thanks for the ideas!! 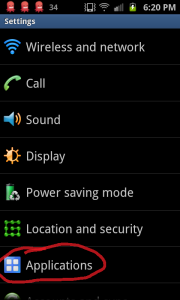 Important: after you stop the camera cashed process, immediatly restart your phone by pressing right power button. followed your instructions and camera up and working again Thankyooooooooue!!!!! I’ve had this problem for a while now. This is the only immediate solution I’ve ever gotten. Thumbs up. Thanks so much. Did not even need to restart my phone. My awesome s5 900fd camera is back. Yay! Great, it works again. Thank you . Thank you so much, camera now working fine again.